How good is this? When you pack your lunch the night before just so you can make sure you get the last of the leftovers, that's how good. 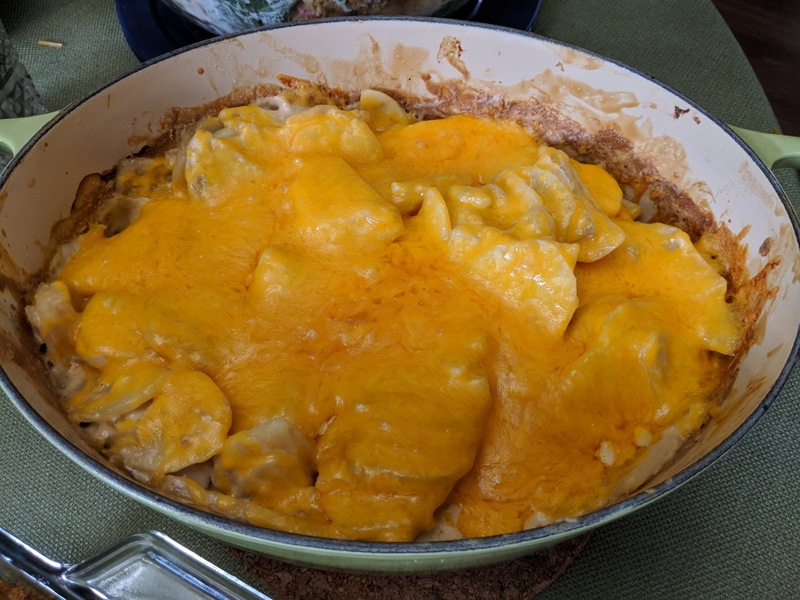 Pour a combination of whipping cream and a French Onion Soup mix over sliced potatoes, then top with grated cheddar cheese ten minutes before it's done baking. Another masterpiece from my wife!